The Dia De Los Toadies line-up has officially been announced! The fifth annual festival will be held at White Water Amphitheater on Labor Day weekend (August 31 & September 1). 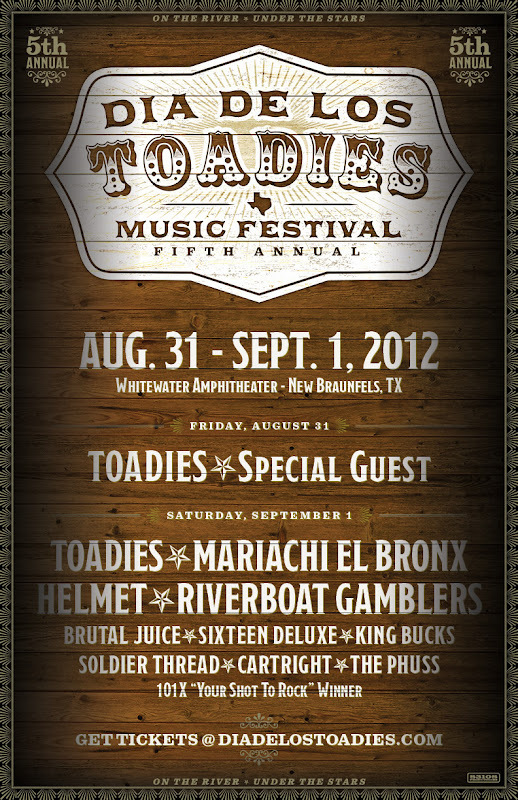 Joining Toadies this year will be: Mariachi El Bronx, Helmet, Riverboat Gamblers, Brutal Juice, Sixteen Deluxe, King Bucks, Soldier Thread, Cartwright, The Phuss and the 101X "Your Shot to Rock" Winner. For more information and ticket links, go to diadelostoadies.com.